For much of the Midwest and Northeast, record cold is about to spread over the region, causing wind chills in some areas to drop to 50 below zero. When temperatures drop this low, it is not just uncomfortable, it is dangerous. According to the National Weather Service, frostbite could develop after being outside for just 10 minutes. 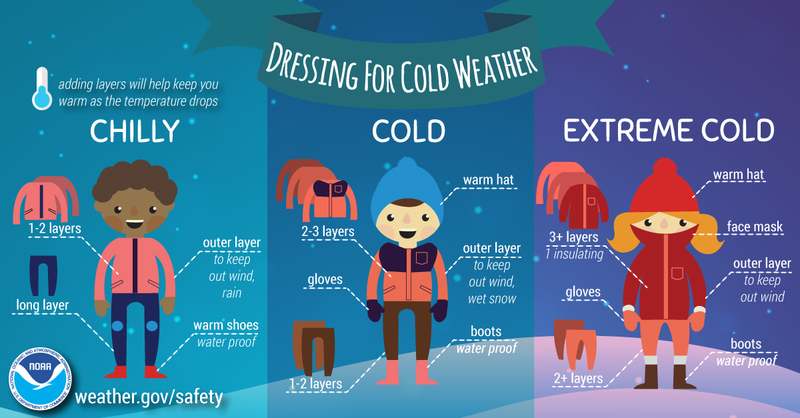 Long-term exposure to the cold could cause permanent skin damage. Other recommendations include to keep a faucet running a small volume of water to prevent pipes from freezing and don't use your oven for heating, instead use boiling water or make soups or stews to add warmth and moisture into the air.